“The interrogator hit him in the head from behind three times and told him: ‘This is so you won’t be able to see at all. '” — Ahmed Safi, Mohammed Safi’s brother. Safi simply sought to communicate that Palestinians in the Gaza Strip are living under a brutal Islamist regime that has offered them nothing but terror — directed towards Israel and towards themselves. He wanted the world to know that Palestinian leaders deflect the heat on the Palestinian street towards Israel. Safi chose to speak truth to power and place the misery of the Palestinians in Gaza squarely where it belongs: at the feet of Hamas. He paid dearly for that choice. Meanwhile, Hamas leaders can now claim another “achievement” in their jihad against Israel: they managed to transform a clear-headed and courageous young man into a blind and disabled one. Mohammed Safi, 27, is the latest victim of Hamas, the Palestinian Islamist movement that has been controlling the Gaza Strip since 2007. While voters in Israel were heading to the ballot boxes to elect a new parliament, Safi, who is from the town of Beit Lahia, in the northern Gaza Strip, is reported to have lost his eyesight while being held in a Hamas prison. His crime: participation in demonstrations calling for an end to the economic crisis in the Gaza Strip and protesting new taxes imposed by the Hamas rulers. The protests — held under the banner “We Want to Live!” — were the first anti-Hamas demonstrations of their kind in many years. Thousands of Palestinians in the Gaza Strip took to the streets during the protests and called for solutions to their horrific economic morass, including soaring unemployment and the skyrocketing cost of living. Safi was among the Palestinians who decided that they had had enough of the brutal and corrupt regime of Hamas. Like most men at his age, he wanted his Hamas leaders to do something to improve their living conditions. They wanted an end to repression and dictatorship. They wanted their leaders to offer them hope instead of sending them to fire rockets at Israel and demonstrate violently at the Gaza-Israel border. It now seems that Safi will never live literally to see Hamas removed from power. He will not live literally to see an improvement of living conditions and the economy in the Gaza Strip. According to Safi’s family, he is now blind. He lost his eyesight, they say, under torture while being held by Hamas security forces for talking to people gathered on the streets to protest economic hardship. Most of the protesters said they had been brutally assaulted by Hamas security forces. Some complained that Hamas security officers had broken their arms and legs. Even senior Fatah officials such as Atef Abu Seif fell victim to Hamas’s violent crackdown on peaceful demonstrators seeking job opportunities and a better life. The price that Safi paid, however, has probably been the highest. His family says he was detained for interrogation by Hamas security forces at least five times on suspicion of participation in the economic protests in mid-March in the Gaza Strip. Safi’s friends and several youth activists from the Gaza Strip who gathered near his hospital bed expressed outrage over the way he was treated during his incarceration by the Hamas security forces. Safi’s case serves as a reminder how Palestinians living under the Palestinian Authority in the West Bank and Hamas in the Gaza Strip are continuing to suffer from repression, corruption and bad government. The Palestinian Authority and Hamas tolerate no criticism. They arrest political opponents almost on a daily basis. They throw them into prison and in many instances subject them to physical and mental torture. Safi is lucky to be alive, albeit now blind. He could easily have wound up dead. That is what happens to Palestinians who dare to stand up and speak out against their leaders. This week, Israel held its fifth election since the most “recent” Palestinian election. The last time the Palestinians held an election was in January 2006. Then, it was a parliamentary election that resulted in a Hamas victory. Since then, the leaders of the Palestinian Authority and Hamas have been fighting each other and denying their people the chance to hold a free and fair election. There is no room for democracy or free elections under the Palestinian Authority and Hamas. There is also no room for any voices calling for an improvement of living conditions and job opportunities. Safi was not even demanding new parliamentary or presidential elections. According to his family and friends, he does not even belong to a political group. He simply sought to communicate that Palestinians in the Gaza Strip are living under a brutal Islamist regime that has offered them nothing but terror — directed towards Israel and towards themselves. He wanted the world to know that Palestinian leaders deflect the heat on the Palestinian street towards Israel. Had Safi headed towards the border to hurl bombs and rocks at Israeli soldiers and launch incendiary kites in the context of the Hamas-sponsored “Great March of Return,” he would have been hailed as a hero by his Hamas leaders. Safi simply chose to speak truth to power and place the misery of the Palestinians in Gaza squarely where it belongs: at the feet of Hamas. He paid dearly for that choice. 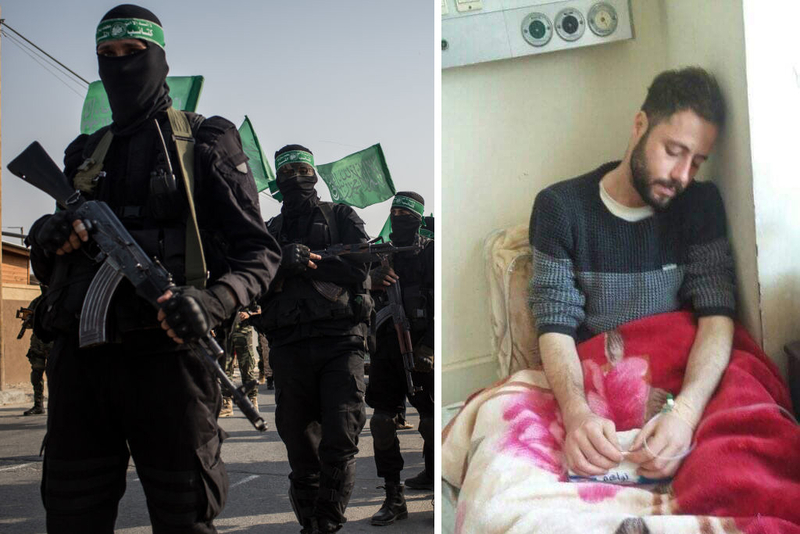 Meanwhile, Hamas leaders can now claim another “achievement” in their jihad against Israel: they managed to transform a clear-headed and courageous young man into a blind and disabled one. Khaled Abu Toameh, an Arab Muslim, is a veteran award-winning journalist who has been covering Palestinian affairs for nearly three decades. He studied at Hebrew University and began his career as a reporter by working for a PLO-affiliated newspaper in Jerusalem. Abu Toameh currently works for the international media, serving as the 'eyes and ears' of foreign journalists in the West Bank and Gaza Strip. 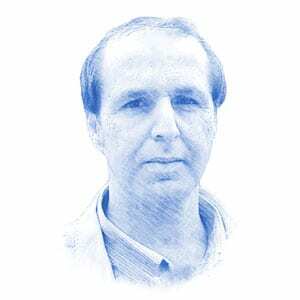 Abu Toameh's articles have appeared in numerous newspapers around the world, including The Wall Street Journal, US News & World Report, and The Sunday Times of London. Since 2002 he has been writing on Palestinian affairs for The Jerusalem Post. Abu Toameh has also been working as a producer and consultant for NBC News since 1989. He is a Distinguished Senior Fellow at the Gatestone Institute.